While each one of us is completely confident that our own Mini Schnauzer is the cutest most adorable dog in the whole world, we all are not great photographers. But capturing a winning picture of your Schnauzer is not that hard to do. This article: How to take great pictures of your dog will help you do just that. You may send us up to 4 pictures with your entry so choose wisely. 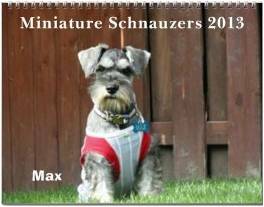 Take a few moments and enjoy some of last year's entries below and then when you're ready, click here for contest entry information and enter your Mini Schnauzer. 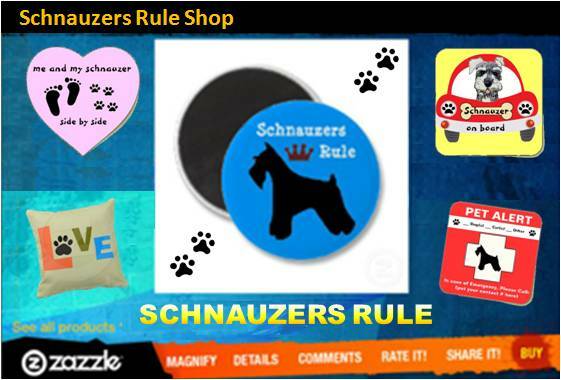 Simply click on any of the links below to see the 2012 Schnauzer photo contest entries. I LOST MY DAISY LOVE YELLOW LAB A COUPLE YEARS AGO. 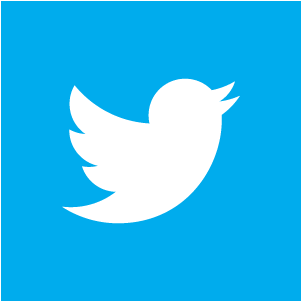 AFTER THAT I LOST MY RESIDENCE OF 34 YEARS AND MY JOB. I FELT DESPERATELY HOPELESS AND EMPTY. Staring, shining, scintillating — who is this doggie and where did she come from? Was she the pedigree darling of some Las Vegas stage performer? Charlie - The best schnauzer around! This is our mini-schnauzer Charlie. He is 4 and a half and such a joy in our lives. How Does a Mom Pick Just One? Angel .... My little babe Muppet !! We got Miles when he was twelve weeks old and he has taken over our lives for five years now. He is Mr. Personality! My mini schnauzer alarm clock! Keewi just turn 1 year old on 2nd June 2012. He joins the family when he was 4 months old, he was so adorable and my family loves him to bits. Mattie is 7 months old and she is the love of our lives! Mina came to us on December 23rd, 2011. I have been looking for awhile as I had a mini schnauzer 17 years ago and always wanted another one. Riley is a Female Miniature Schnauzer and 10 months old. Her birthday will be Sept. 21st. Ellie Mae is 1 year old. She became part of our family last year as a companion for our 11 year old Miniature Schnauzer, Bevo.